UX courses in NYC teach the process of designing websites and apps that meet the needs of users. Learn UX Design skills including research, sketching, prototyping, testing, and documentation. Discover the UX design process, and the complimentary roles of UI (user interface) and UX design. AGI's User Experience classes teach real-world UX principles using hands-on exercises and UX projects, and are led by practicing UX design professionals in New York. Start learning UX in NYC with the introductory UX Design Principles course or gain specific skills used in the UX field including Sketch and Adobe XD (Experience Design). Regularly scheduled UX classes in NYC in our classrooms, and private UX training in NY for corporations and groups can be delivered on-site at your location. Learn UX from professionals who work on user experience for websites and apps, and bring extensive real-world user experience design to the classroom. If you have questions about our UX workshops in NYC, use our UX Training Information contact form, or call us at (212) 922-1206. UX classes in NYC at American Graphics Institute are led by user experience professionals with extensive backgrounds in web and app design. Learn UX from professionals to help improve your app and web design projects and process. UX training in NYC with workshops for individuals, regulary scheduled UX classes, and private UX training for groups. Attend UX courses led by practicing professionals with extensive real-world experience. 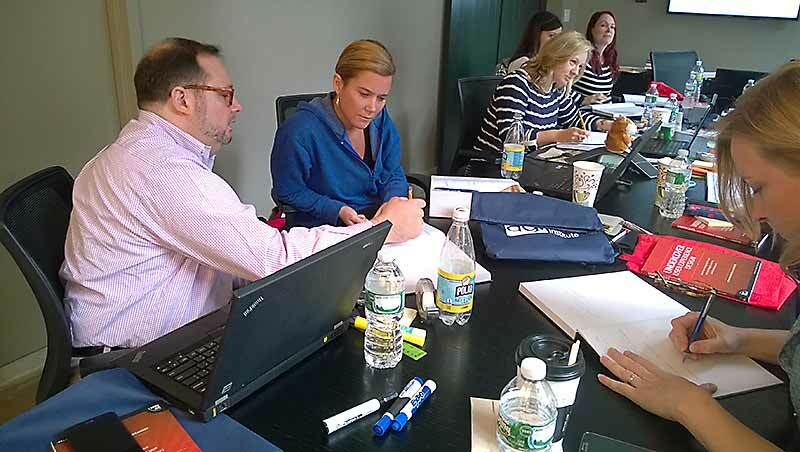 All NYC UX classes include extensive hands-on projects and real-world exercises. UX classes in NYC are offered monthly in Midtown Manhattan with a live instructor at AGI's training center. UX Classes and UX Training in NYC. Adobe Training, Photoshop Classes, InDesign Classes, Creative Cloud Training, After Effects Classes, Premiere Pro Courses, Illustrator Classes, and Apple Training in NYC. AGI also offers private, onsite UX classes in the NYC area, which can occur at your office. For details complete a custom UX Design request form.